Well, friends, there it is. 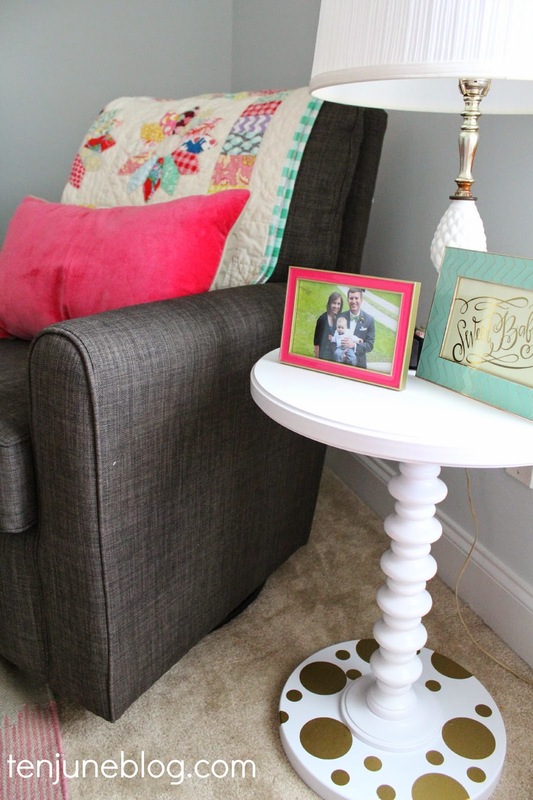 Little June bug's nursery reveal! 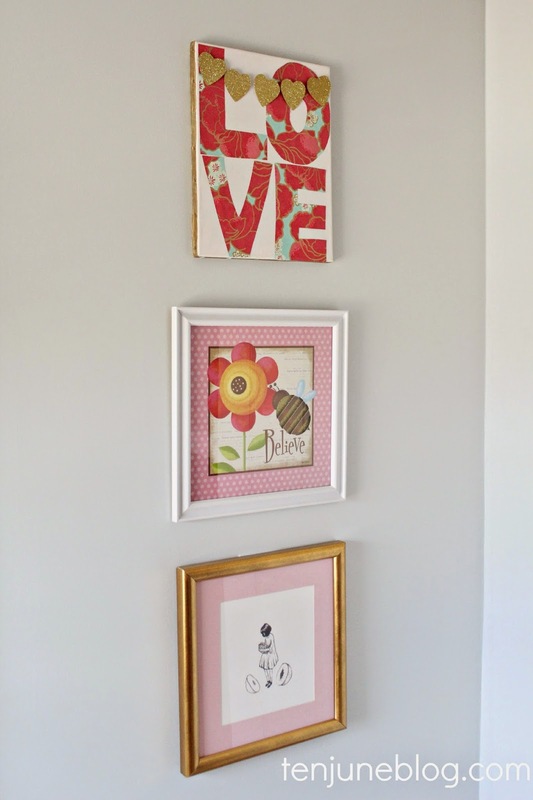 I was equal parts terrified and excited to pull together a little girl's nursery over the course of a few weeks (only six to be exact! read more about that crazy story here). That task was made even more difficult because I had already purchased most of the items for what I thought was going to be a little boy's nursery. In an effort to not waste a ton of money and work with a lot of what I had, this pink, gold and light blue room was born. Mad props to my sweet friend Michaela who talked me off the ledge and helped me plan LLJ's sweet room at the last hour. I am still really nervous about some of the bright colors and random elements, but overall, I think it really came together well! Actually, I know it did. And that last photo is proof... my sweet girl loves her room. Seriously, she smiles every time we're in there! Precious. 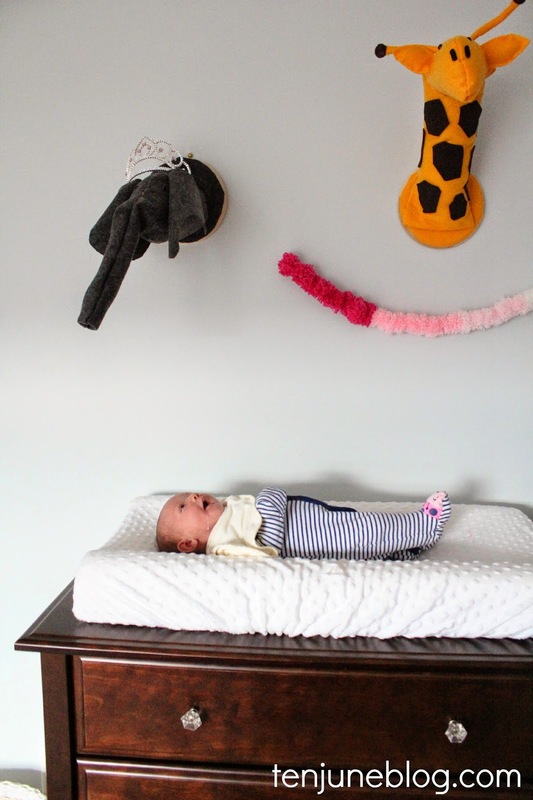 Just like I did with HDawg's nursery reveal, I have created a separate source list post for this room. You can check that out right here. 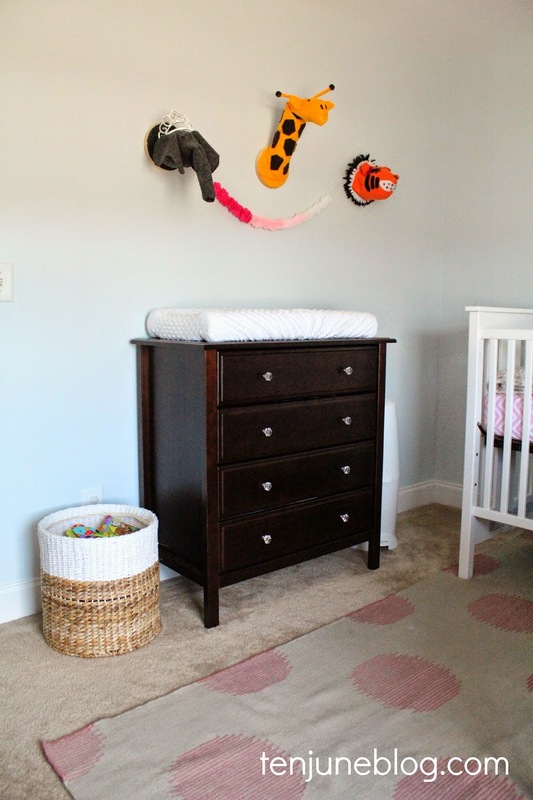 Also feel free to check out the Nursery category for any posts I've done on the room so far. I hope y'all love it as much as Little Lady June does! So sweet and simple. 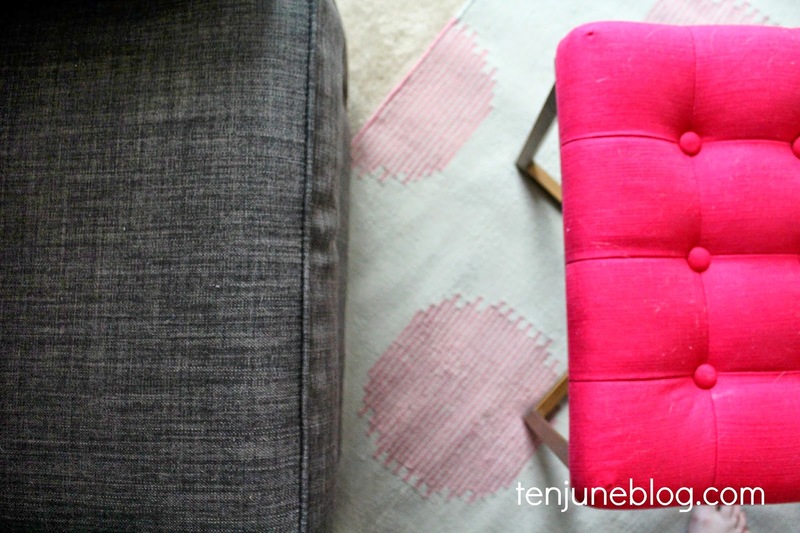 Love the pops of pink mixed in the muted colors. so sweet! it's such a great special mix! How adorable! 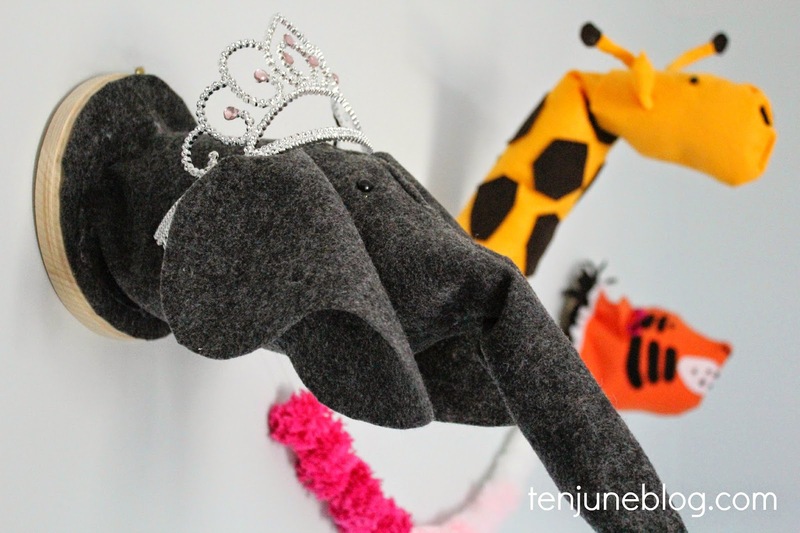 I about cried when I saw the ballerina teddy bear in the crib! I have that same Teddy from when I was a baby! :) It was my most prized possession! It was one of my favorite stuffed animals from childhood, too! My mom saved it for me to pass down to my little girl one day : ) Love that! Love!! It's sweet and sassy, you did great! 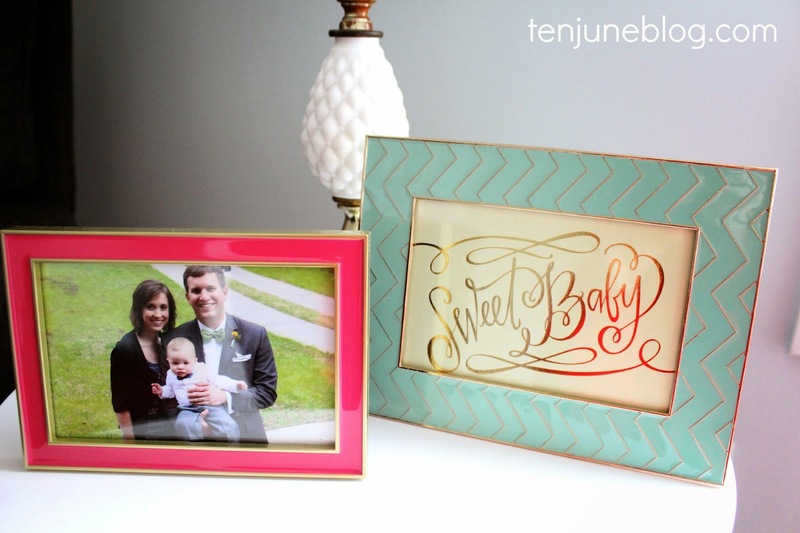 I'd love to know where the picture frame on the table came from. The minty one. 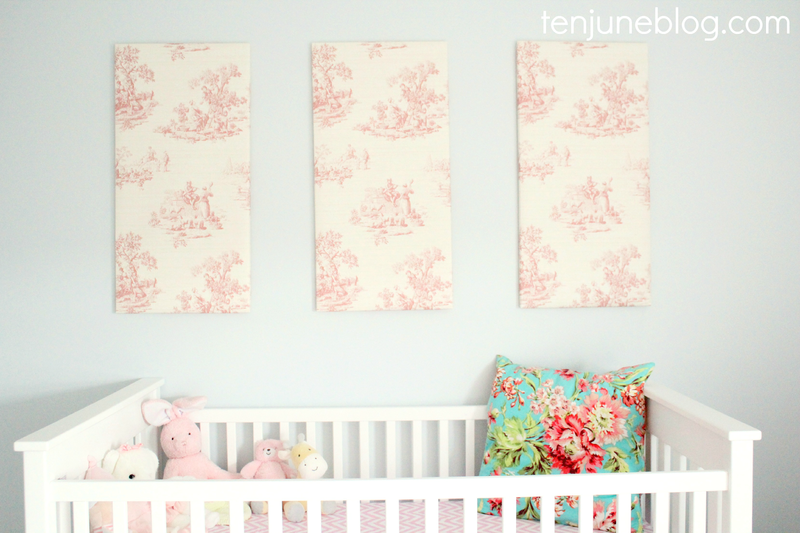 This is such a sweet nursery, perfect for little lady June! I could never have pulled all this together within weeks. Those toe shoes (yours?)!! <3 I still can't believe your gender reveal story, so crazy girl. 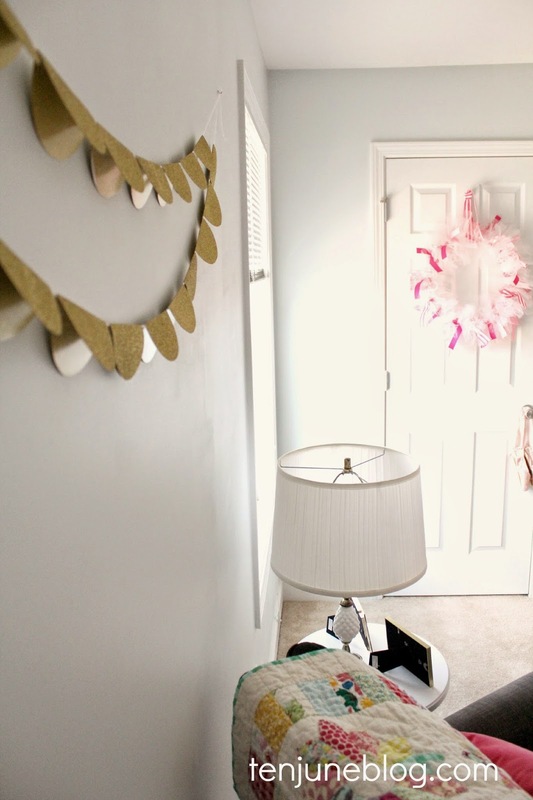 So adorable...my favs are the rug, covering on the pad and the wreath! Altogether it is sweet! 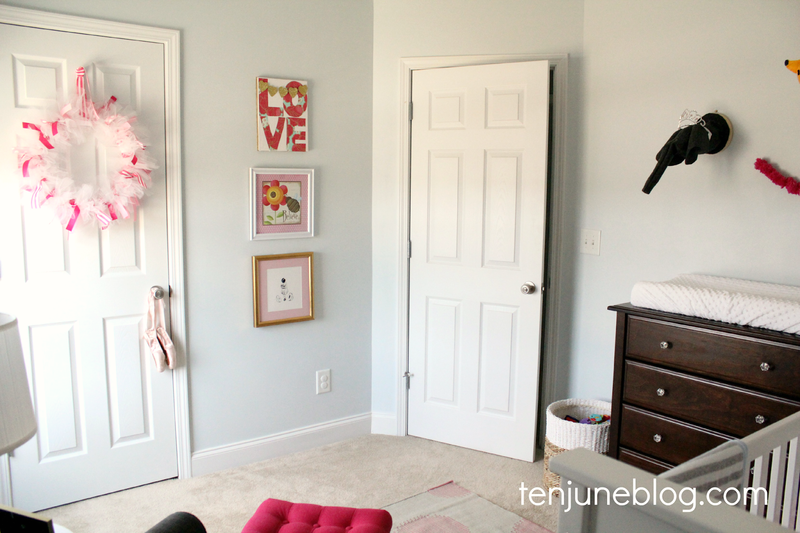 Super sweet room and I have told so many people your gender story! 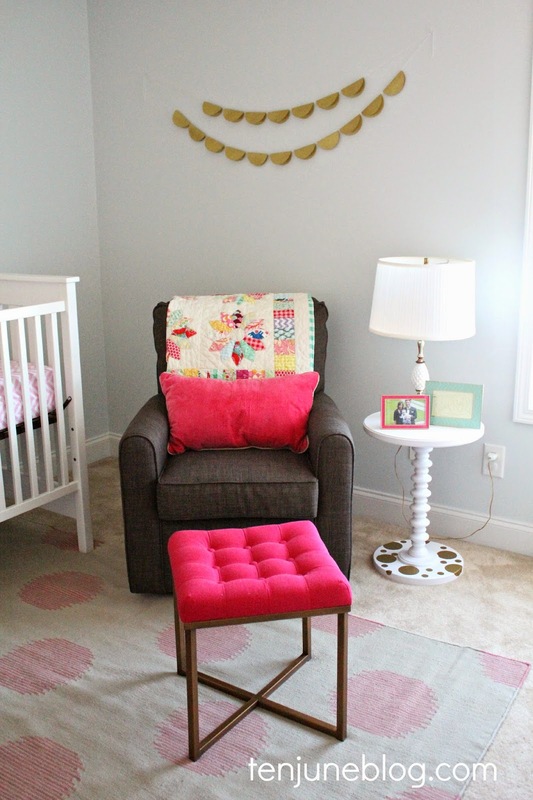 I think you did a fabulous job in this nursery and most importantly, your baby loves it. 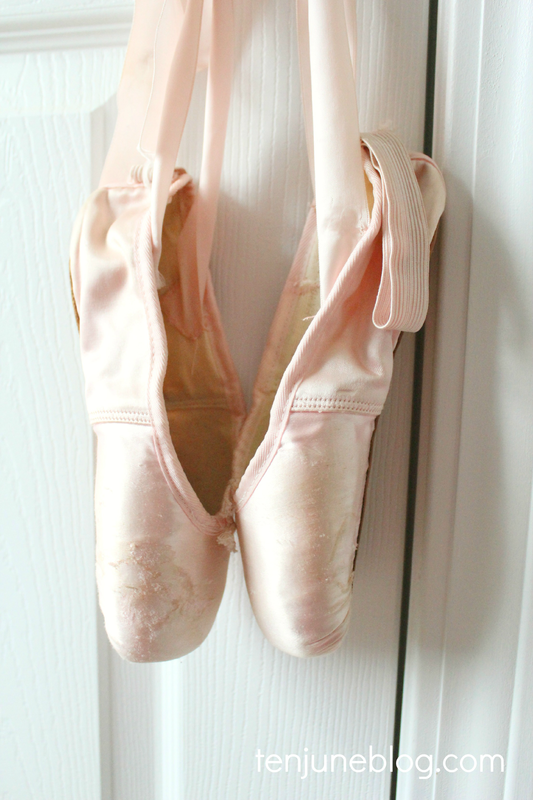 Are those your ballet shoes? 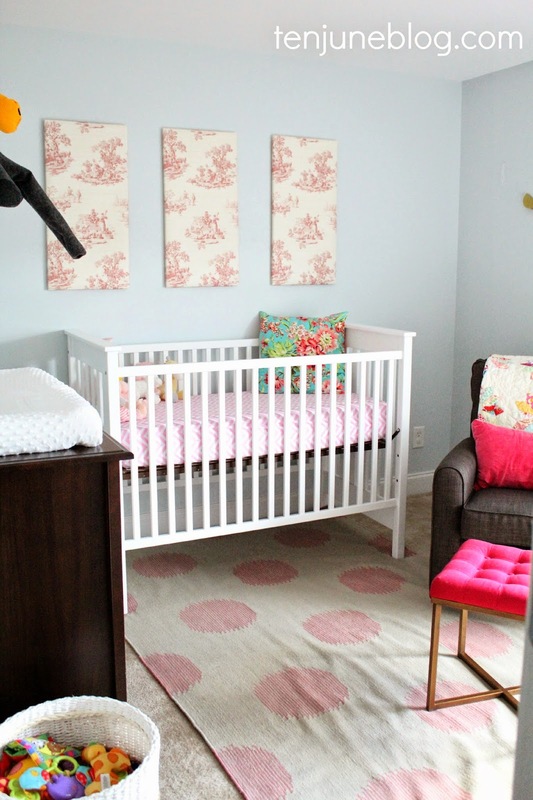 I love this nursery so much! You did an amazing job with so little time! 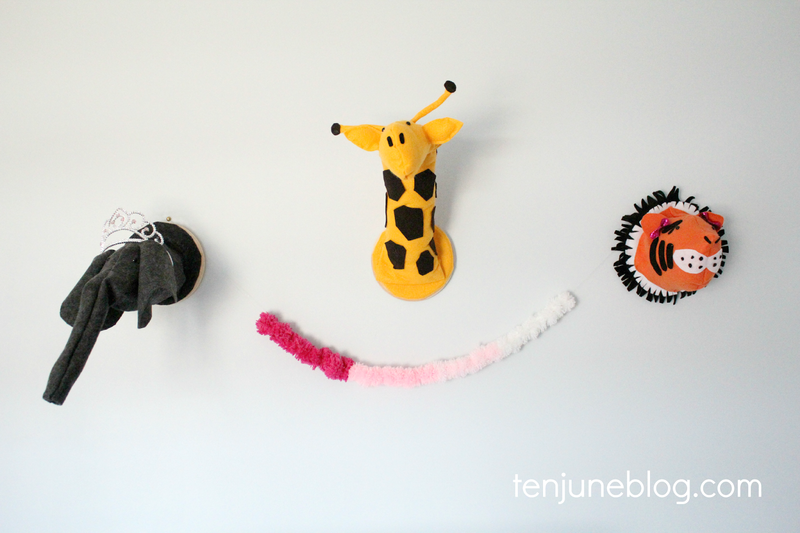 Everything came together so well, and it is playful, whimsical, and pretty all in one. Love it! Love, love, love! So many sweet and glam details, Michelle. Nailed it! Oh, Michelle. I love it. 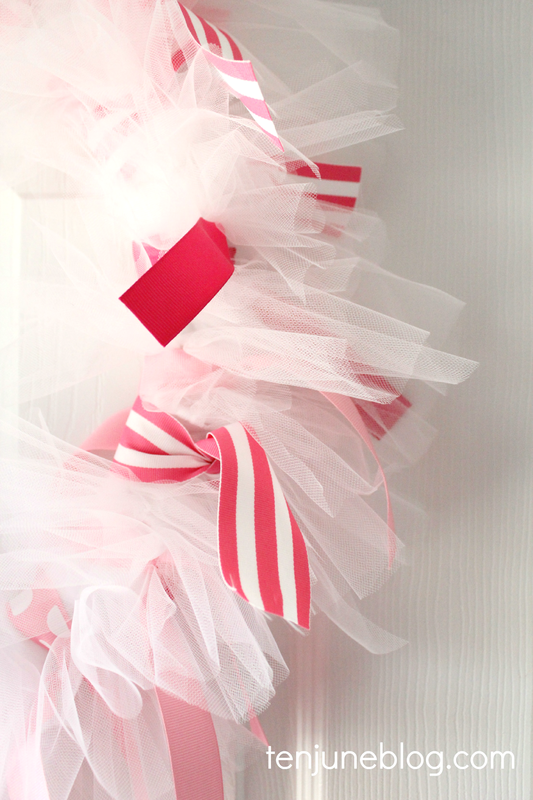 I adore the ballet shoes and that sweet wreath. IT's all just so cute and I love seeing baby girl in there.